I started the B747-8F build a few days ago. A small introduction to the exact plane I will be building is in order! To start off: a video made by a good friend of mine, TheYottaTube. The video shows the LX-VCD. 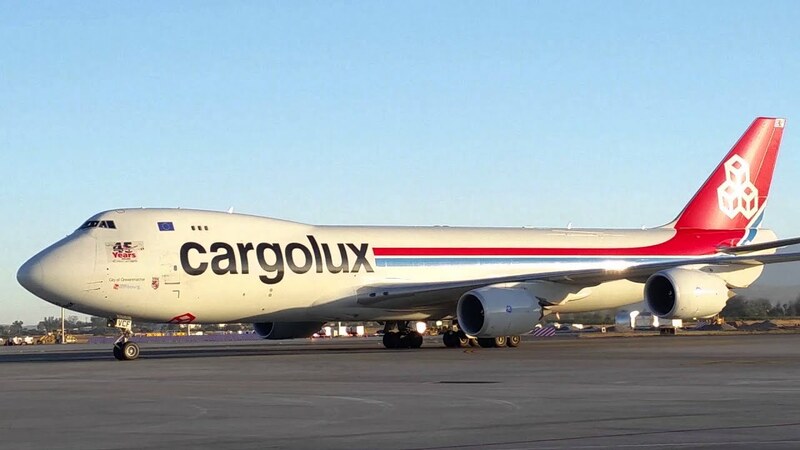 It was delivered to Cargolux on October 13th 2011 and is titled “The City of Luxembourg”. This is the one I plan to build. What first surprised me when I saw the F type of the ‘dash 8’ was the shorter upper deck compared to the passenger version. Of course the engineers at Boeing have made sure this thing is ready for the future, and the range and payload numbers obviously have improved from the -400, but that’s not a reason to copy them from Wikipedia is it? LX-VCD landing at the Polderbaan (18R) at Schiphol Airport, Amsterdam. This is a still from TheYottaTube’s video. Some more photos of different -8F’s, hopefully giving me some clues on the tiny details. N5573S, upon delivery to Cargolux registered as LX-VCC and the third 8F delivered to Cargolux. LX-VCB at Taiwan Taoyuan International Airport. No nice camouflages on this kit.. or maybe…. no. Still I suspect a huge challenge once I get around to getting a clear gloss coat on. I will really need to make sure I am ready when that time comes because this will make or break the kit and need to do my learning before I start on this job! While building the FW-190 I for a few days had this crazy idea that it would be good for me to do two kits at the same time, to keep myself interested. I don’t know about the future, but I quickly realized that it was just not my thing to do two projects at the same time. I really like something to be a project and have my full attention. I have my job for doing different things at the same and not having the time to properly finish one thing before starting the next, so why would I do that to myself in my new primary hobby?? Anyway, my little adventure left me with a finished cockpit, two sprayed cockpit halves on both fuselage sides and a couple of main landing gears. I did some work on the B747-8F today while waiting for to see if there would be any reaction to the tack. The cockpit is done and the brownish color is sprayed inside the fuselage. Before doing any work on the kit I first wanted to get something out of the way that had bothered me during the FW-190 build. No more endless flipping in the instruction booklet. First order of business: I had some problems fitting the landing gear straight into the gear bay, so I first had to correct that. I tried using the squares on my cutting mat to point out how misaligned the left gear is. What I do to fix it was cut a piece out of one of the supports and glue it together again, this time straighter. It still isn’t perfect but I am sure it won’t be visible in the end. After this it was time to do a big airbrush job to get all the light-gray parts out of the way. The light gray is barely visible on these parts since they’re white on the sprues but hey, we’re not going to leave them bare. The last work I did was on the landing gear, and all that is left now is painting the tires. One thing I already noticed: building in 1/144 is asking for RSI! My hand really starts cramping up after half an hour when working on the tiny parts like the wheels and gear, so all this work has been from the last couple of days and this probably won’t be a fast build. It is nice though, to work on another subject like this! Instant update: I was talking to TheYottaTube today and it turns out that the Cutaway livery is still flying around! It actually was just one of the fleets -8F’s that got the livery, the LX-VCM as shown below. Change of plans: this will be the one I’ll be building! The LX-VCM was delivered September 2015. The LX-VCM arrived half an hour ago at Budapest. Posted on 2017-08-12 2017-08-26 Categories FW-190 A8/R11 (Revell 03926 1/32), WorkplaceTags 1/144, 1/32, airbrush, model building, plastic model, Revell, scale model4 Comments on More stuff.. again!